Eventhough we frequent Kapitolyo, we never got to try Ba Noi's -- until last November. We had to wait for it to open (11 AM, our work ends 9:30 AM) just to try Vietnamese cuisine (and of course, to stick with our promise to try new food everytime we go out). That's the beauty of Kapitolyo, it's a melting pot of different types of restaurants and different cuisines. You'll never get tired of it because it has so much to offer. 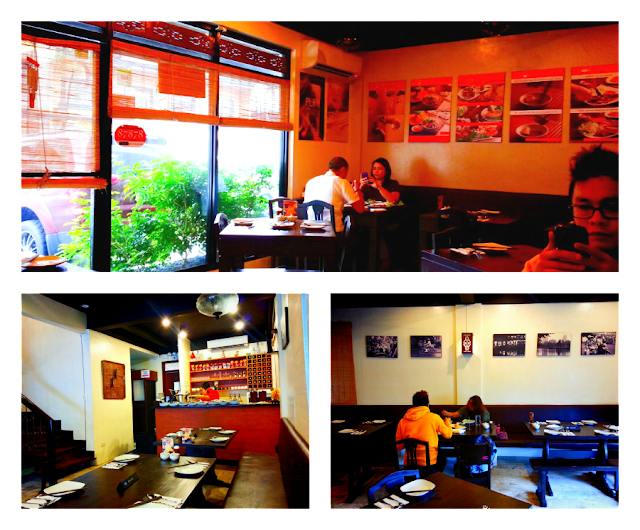 Ba Noi's was actually originally located in Makati, and they transferred to Kapitolyo earlier this year. It's got that cozy ambiance which somehow makes you feel the authenticity of the place. Blown up photos of their food on one side and black and white Vietnam photos (I assume) on the other. Wooden tables and chairs were arranged on the space, there were chopsticks placed in a certain angle on the plates and bamboo blinds were placed on the door and windows. I've never been to Vietnam, never tasted Vietnamese food nor ate at that other Vietnamese restaurant known in Tagaytay, Bawai. So I have no point of comparison, really, on how food should taste like. But what I do know about Vietnamese food is that it's always on the healthy side. That and pho. Hehehe. Trivia time! I read on Spot.ph that Bawai actually means maternal grandmother in Vietnamese, while Ba Noi means paternal grandmother. Their grandmothers' generation must be really great at cooking! Dodjie Violago, Ba Noi's president, was in the restaurant that day, and he came up to our table and talked about their latest offering, the Vietnamese baguettes. He even gave us a few slices of their freshly baked baguettes! It was really good! I said yes to ordering this because of shrimp. Anything the resembles lumpiang ubod or lumpiang gulay, I do not like. Those were my mom's favorites but I never picked up that habit from her. I made an exception because it had shrimp. And I did not regret it. The presentation was beautiful (HAHA I'm calling food beautiful!) I liked all the green and the pop of orange underneath that translucent rice paper. And all those pieces of shrimp stuffed in there made me want to take a bite as soon as the plate touched our table. I never dipped it in peanut sauce because most of the time the sauce distracts the palate from the flavors of the food. Ian and Muffet said it was really great with the peanut sauce but I was just as happy without it. It was a warm, Sunday morning in your mouth. Something like that. I really enjoyed it and it was filling. This is Ian's pick because: one, he loves noodles, two, he LOVES squid. And this dish has them both. 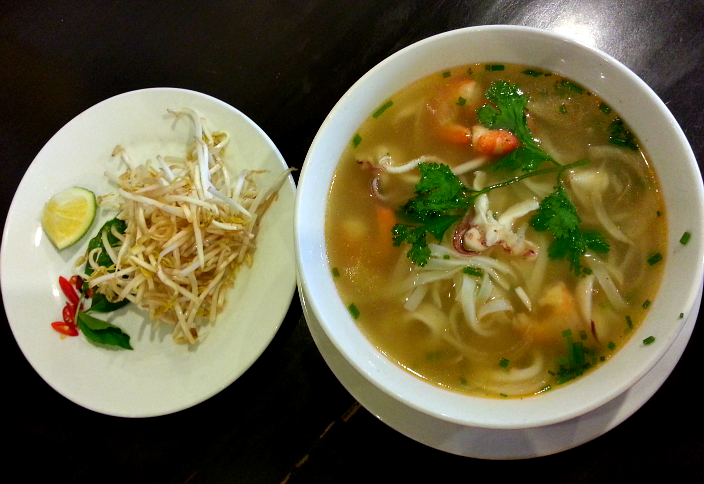 The pho contained a generous serving of seafood, and the both was flavorful and light. Serving was really big, too! Since I love shrimp, I decided to order this. I totally forgot the name of this dish. Hahaha. I didn't bother taking down notes thinking I could find it somewhere in the Internet. But for some reason, I can't! So this was the closest thing I got. Hahaha. Sorry! Let's just call it the Grilled Spicy Head-On Prawns. Nevermind that it's spicy, it's prawns! It was supposed to be 4 pieces of prawns but I guess prawns were not available that day so they put 10 pieces of shrimp instead. Works for me! I AM NOT COMPLAINING. This one's soooo good. Like I loved it so much I didn't care that I could not feel my lips anymore because of the spiciness. Haha. Dip it in the mixture of lime juice and pepper for that extra tangy flavor. Huhu. I need this now. I was a bit apprehensive when this dish came. Of course, the staff told us when we were ordering that this is a bestseller. But most of the time, beef's a hit-and-miss. Meat tends to be too tough and chewy. But this one's stealing my prawn's thunder because it was spot on. Very tender. There's pressure cooked kind of tender but this one is right in between. Really juicy, too. Perfect. Even more perfect with our hot cup of rice. Sooooo good. When you go to Ba Noi's, please, please order this. 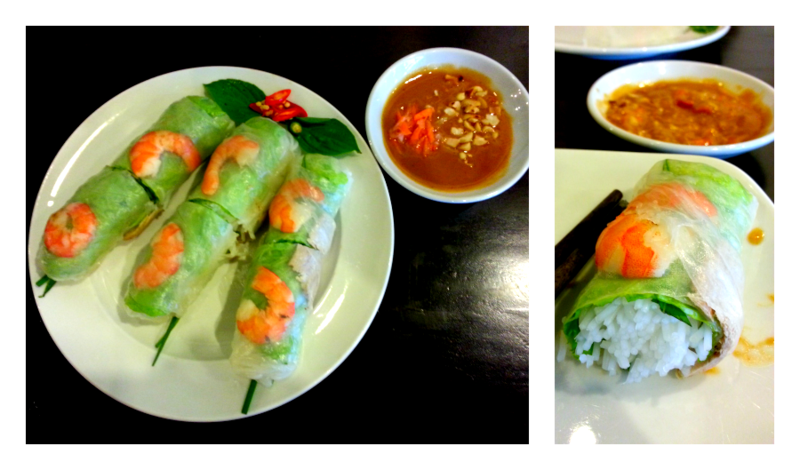 I'm glad my first try of eating Vietnamese cuisine was at Ba Noi's! It was definitely different from all the usual breakfast food we eat. They indeed delivered the fresh flavors of Vietnam! Food was superb. Customer service was great! Overall, two thumbs up! We really loved Dodjie's gesture of talking to guests and asking how the food and service were. They make the dining experience even more personalized. 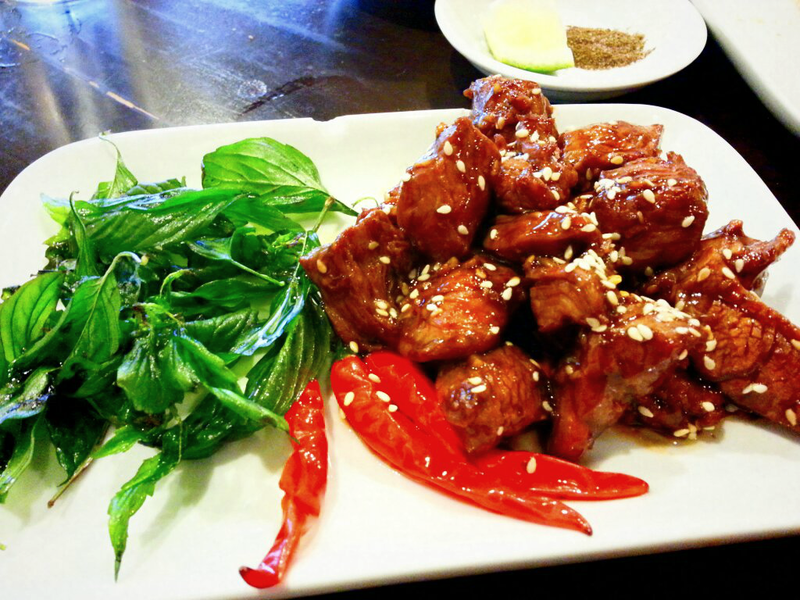 Ba Noi's has become one of our favorite food discoveries this 2013 and we always tell our other friends to try and dine there! Can't wait to come back!